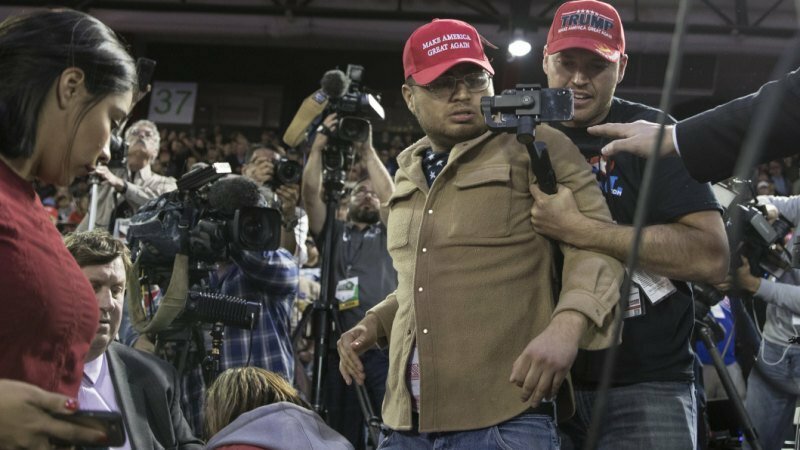 El Paso: A BBC cameraman, assaulted during a speech by US President Donald Trump, was the victim of an "incredibly violent attack", it has been claimed. "It was an incredibly violent attack. Fortunately our cameraman is fine, he is made of stern stuff," O'Donoghue said. "This is a constant feature of these rallies – a goading of the crowds against the media," O'Donoghue added. Reporters Without Borders said they were looking into the incident.